According to The Chambers English Dictionary, at least in a pre-1970s version, an éclair is “a cake, long in shape but short in duration”. In a standard French dictionary, you’ll find that an éclair is not only a pastry, but also a flash of lightning. Food historians don’t quite agree as to why the pastry’s name means a flash of lightning in French—some believe the pastry’s moniker is a result of how quickly its eaten (“eaten in a flash”), while others claim its due to the fact that it sparkles when coated with glaze, like lightning. 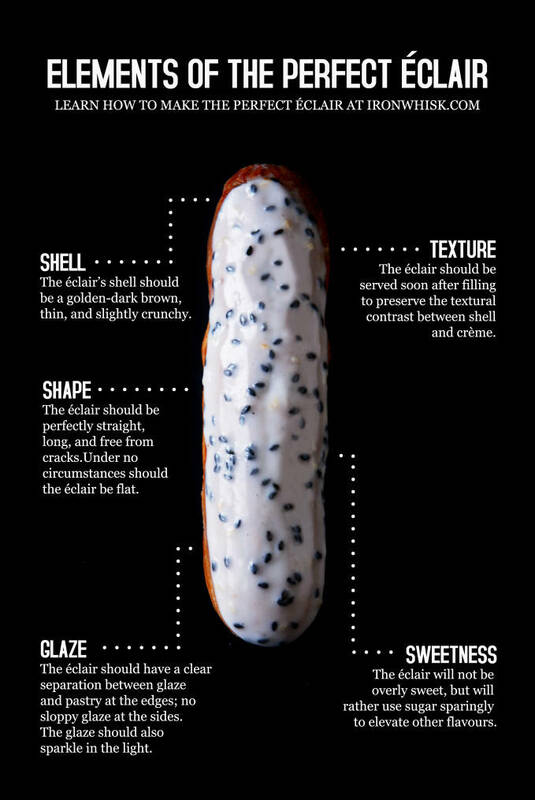 Regardless of its name, éclairs are undoubtedly delicious if made correctly. But they’re usually not. Funnel cake is one of my favourite carnival treats. 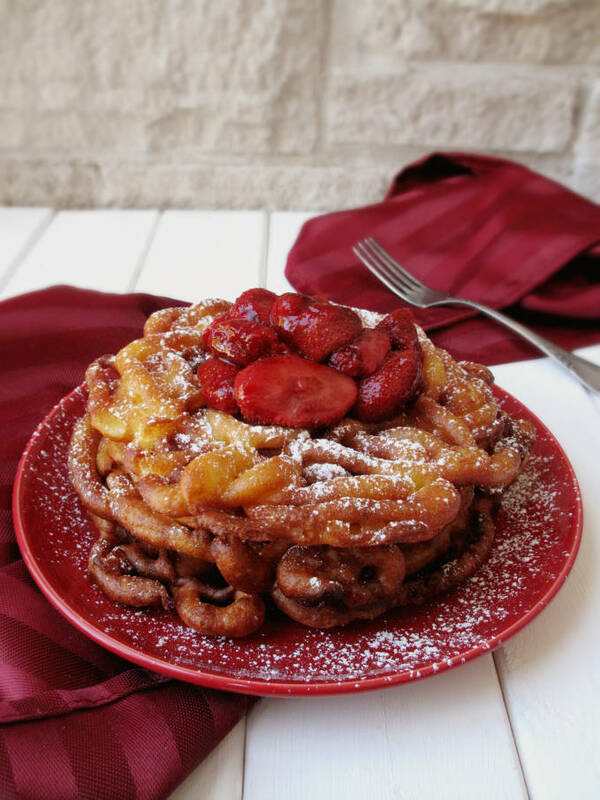 Funnel cake is made with either pancake batter, or choux paste, poured through a funnel into hot oil. That’s why it’s called funnel cake. It’s not because it’s funnel-flavoured. While using pancake batter is definitely quicker, and far more efficient if you run a restaurant (you could make pancakes, waffles, and funnel cakes all from the same batter) choux paste is the tastier alternative that results in a fluffier and lighter funnel cake. 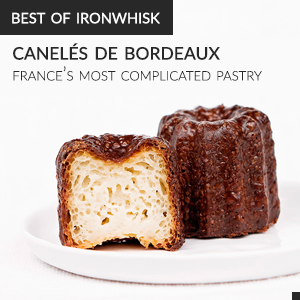 While choux paste can be a bit harder to make, if you’re looking for a gourmet carnival treat, it’s the way to go. If you’re looking for a less delicious option, feel free to use pancake batter. I’m a big fan of funnel cake. Whenever I go to the local amusement park (which also happens to be the largest in Canada) I always spend time standing behind a glass wall that lets park visitors see how the funnel cakes are made. First, the batter is cooked in hot oil until it turns golden brown. Then, the funnel cake is dusted with icing sugar, topped with strawberries, and served with soft-serve ice cream. I’ve stood behind that window countless times. Well, not countless, but let’s just say I didn’t count.